Born in Alexandria, Egypt, Mohy Sabry gained his veterinary degree from the College of Veterinary Medicine, Cairo University in 1953, and his PhD in the field of bacteriology in 1963 from the same university. In 1968 he received a second PhD degree in avian diseases from Cornell University, USA. From 1953 to 1955, he was the veterinary manager of a commercial poultry farm and hatchery in Egypt. In 1969 he established a new Mycoplasma Research Section at NAHRI in Cairo, and served as its chairperson until 1978. He was vice president of the Egyptian General Poultry Organization (1978-1990). From 1978 to 1991, he served as Chairman of the Advisory Committee for Poultry Diseases at the Ministry of Agriculture in Egypt. In 1993, he co-established the national regulations and specifications for poultry vaccines. 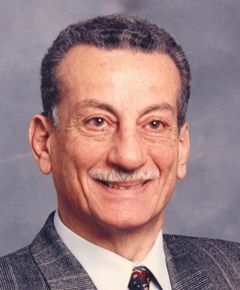 He co-founded the Egyptian Veterinary Poultry Association in 1986 and participated in its Board of Directors meetings from then until the present. He co-organized the WVPA Congress in Cairo in 2002. He played an important role in the establishment of the Egyptian National Health regulations for the importation of chicks and eggs for poultry production. He served on the National Committee for Veterinary Education (Avian Medicine) in several Egyptian Veterinary Colleges. From 2006 to 2013, he served on the Ministry of Agriculture’s National Committee for the control of avian influenza. In 2008, he established a national directory of 1258 theses and dissertations on avian medicine and poultry health. Dr Sabry's career has focused on the diagnosis and control of poultry diseases, particularly mycoplasmosis, salmonellosis, and seroepidemiologic surveys on infectious bronchitis, Gumboro disease and chicken anaemia. He was a member of the International Avian Mycoplasma Team (1972–1990). He authored or co-authored over 70 papers in peer-reviewed journals, and supervised more than 35 postgraduate students in Egypt and the Middle East. In 1991 he established a private consultancy company (Egytech) for veterinary poultry services. Outside work, Mohy is interested in sports and travelling. He was married to the late Dr Atiat Shebl, also a poultry veterinarian, and has a daughter, Mona and son, Alaa.